Making tax deductible clothing donations is a great way to give back to the world while getting a little money in return at the end of the tax year. 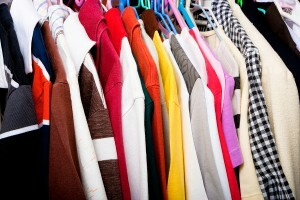 If you have clothes you aren’t wearing anymore, consider donating them to American Kidney Services, a 501 (c)(3) charitable organization that helps people struggling financially. We collect clothes and other household items from residents in several area cities, and the funds those items generate go toward programs that support people struggling financially due to kidney disease. We make it easy for people to donate their unwanted items because we offer free donation pickup; all you have to do is gather the clothes and other items you no longer want and leave them by your mailbox in a bag or box labeled “AKS.” We’ll call to let you know when our drivers will be in your neighborhood, and we’ll leave a tax receipt when we pick up your donations. You can also leave your donations in any of our hundreds of drop boxes in the area. When you choose American Kidney Services as the recipient of your tax deductible clothing donations, you help provide kidney disease patients and their families with much-needed financial relief. The medications and treatments that people with kidney disease require can be costly, and some patients struggle to afford it. Some face the impossible decision between their life-saving treatment or essentials, like electricity. To help alleviate their hardship, we collect used or unwanted items and the proceeds go toward programs, like those of the American Kidney Fund, that help cover the medical costs of kidney patients. 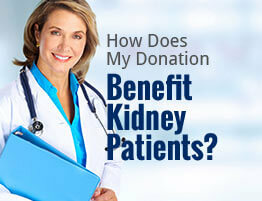 If you’d like to learn more about donating to American Kidney Services, please contact us today. You can also fill out our online form to be added to our rotational pickup list.